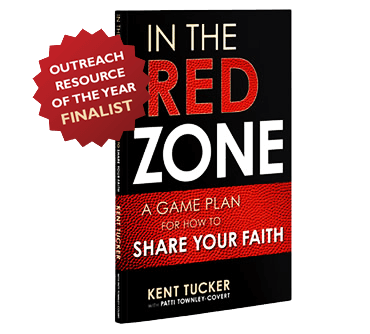 Kent Tucker’s inspirational new book, In the Red Zone, focuses on the guiding principles of Red Zone Evangelism. It explains how to help people who are open to Christ, in the Red Zone of their spiritual journey, across the line of faith. Loaded with personal stories and discussion questions, this book is a valuable resource for small groups as well as individual reflection.